The problem of children who refuse or resist a relationship with a parent after separation is one which takes up a great deal of practitioner time and understanding and working with children who are in this rejecting position after family separation can seem like a complex problem. Some practitioners without experience of the ways in which children may react to family separation, approach each of these cases in the same way, considering that it is conflict alone which gives rise to the child's refusal to spend time with a once loved parent. Others may wonder whether the parent who is being rejected has done something to warrant such withdrawal. With the rise in mediation as the remedy of choice of the Coalition Government, for separating families, the idea that this approach may resolve the conflicted positions of parents and as a result free the child who is resistant, is one which is frequently considered. Mediation between parents however, rarely works when a child is severely rejecting or resistant to a relationship with a parent. Deeper assessment, therapeutic support and robust judicial control is almost always necessary alongside child focused interventions. The concept of the alienated child was introduced by Canadian Psychologists Kelly and Johnstone (2001) who reworked some of Gardners (1985) original analysis of Parental Alienation Syndrome. In the intervening years, the phenomenon of the alienated child has becoming more familiar to professionals working in the field of divorce and separation. Courts and practitioners concerned with case management, are more regularly dealing with children who express a desire to end a relationship with a parent and children whose wishes and feelings are expressed clearly and unequivocally, sometimes from a very young age, may present dilemmas for the practitioner lacking experience in this field. With the emphasis being placed increasingly upon the important of hearing the voice of the child, understanding the deeper narrative of the separated family as it is presented by a child's refusal, can throw up powerful challenges. Learning how to understand how alienation in a child is created and maintained is therefore an important part of the toolkit for practitioners working with high conflict separation. Developing skill sets for delivery of interventions to match the alienation, offers confidence and treatment routes to change outcomes for such children. When these are set within a court arena where all the professionals understand the impact of alienation and how it presents in children, unlocking the small group of cases which are entrenched in the court process becomes possible. The Family Separation Clinic in London accepts referrals for treatment where children are considered by the court to be alienated from a parent. Assessment of referrals always begins with analysis of the case to determine whether it is indeed a case of alienation or whether there are elements of justified rejection within it. Justified rejection is when a child rejects a parent because of something that a parent has done. Drink or drug use, parenting which incorporates a continued use of severe conflict towards the other parent and neglectful parenting are some of the elements which would constitute an assessment of justified rejection. Whilst controversies continue about the existence of parental alienation as a syndrome and the publication of the DSM-51 does not make specific reference to it, commentators have said that the cluster of symptoms which are experienced by children in high conflict family separation have been included. To the degree that Bernet (2013) said, on his blog parentalalienationcanada.blogspot.co.uk that the “spirit of alienation” is indeed present in the most recent publication of the manual. In the UK, the courts preference when working with these cases has been to use the term implacable hostility to describe a set of behaviours in a parent which has lead to a child refusing to have a relationship with a once loved parent. Recent judgements in the UK however have ensured that the problem of parental alienation can be considered mainstream. The concept of alienation as a feature of some high conflict parental disputes may today be regarded as mainstream. There is no professional or expert consensus as to the approach the court should take with an alienated child. The solutions tried in this case had failed. The case demonstrated that there could be no 'one-size-fits-all' solution. Alienation will only be a feature in a small number of cases and may be outwith the experience of the care professionals. In cases involving an alienated child it is "essential that the court has be benefit of professional evidence from an expert who has personal experience of working with alienated children. A lack of practitioner awareness of the range of behaviours, issues and difficulties which are faced by the separated family, is, according to Sauber and Worenklien (2013), the risk that leads some professionals to collude with the parent who is engaged in the alienation process. For many professionals, contact with an alienated child only takes place long after the process of alienation is complete, that is, when the child is presenting as acting in his own interests and of his own free will. This conundrum can present severe difficulties for professionals, particularly when they are working in the shadow of the rise in focus upon the voice of the child. When this is coupled with an alienating parent who insists that they are not obstructing a relationship and are simply acting on the expressed interests of the child concerned, intervening in ways that change relationships between child and parents can feel intrusive and, at times, impossible. Those practitioners however, who, according to Wallerstein and Kelly (1980) “are sufficiently aware of the patterns of behaviour which are displayed by the irate parent and child, joining together in a coalition to disengage from and minimise the other parent”, may seek interventions which are more nuanced than the standard approach and which fit the complexities of dynamics which are raised within these parent and child dyads. To the practitioner who is skilled in working with alienated children, the voice of the child is that which gives away the reality of the position they are in. These cases, which have often been through months and years of litigation, are the focus of work at the Family Separation Clinic in London which specialises in assessment and treatment routes for entrenched and highly conflicted family cases. Listening to the voice of the child is a key part of the assessment process which is undertaken in the work of the Clinic, this enables us to interpret what is being said by the child in order to arrive at a differentiation of the alienation reaction. According to Kelly (2010), The problem of alienation in a child, is a reaction to conflict, the roots of which which usually stem from unresolved issues in the relationship experienced by one parent or both parents, sometimes even before the separation. Whilst many parents may be hostile to children's relationships with their other parent, not all children succumb to the pressure that this places upon them. Children who become alienated from a parent however are likely to have at least one implacably hostile parent or parents who are in conflict. The voice of the child in such a family system, is one which must be listened to with great care, because it is often what is not being said as much as what is being said which gives away the reality of the awful dilemma that the child faces. (Baker et al 2013). This dilemma, to choose to lose one parent and keep the other, is the reality for some children who live through family separation and the way in which this 'choice' is forced upon them forms the basis of a range of behaviours which can be said to be alienating of the other parent. Baker and Fine (2013). Nevertheless, a child who has been placed in this impossible position will offer clues to the psychological and emotional double bind that they face. For practitioners working with such children, learning to listen for those signs is a first step in building a skills set which enables nuanced approaches to such family systems. Children who are in an alienated position or who are at risk of this are very likely to want someone to intervene on their behalf (Baker 2012). By the time professionals reach these children, they are already placed at the top of the family hierarchy and have been given the power by the aligned parent, to make decisions which are not rightfully theirs. In this sense, children in this position are are in serious danger of being further abused by those who are trying to help, especially if those people are unable to break the bind that the child is facing (Gottleib 2012). The nature of the bind being that the child has moved to a place of upholding the parent's implacable hostility by rejecting the other parent but is upholding this as being of their own choosing. In reality, children in this position have not chosen to act but are being forced to do so through the emotional and psychological pressure being applied by the parent in whose care they spend most of the time. Intervening in such family systems therefore becomes a matter of ensuring that the work that is done with the family as a whole, alleviates rather entrenches the problem and matches it with a treatment route which has the best chances of success. Differentiation of the dynamics in a family system is the biggest step to achieving this. Differentiating between the child who is alienated because of the conflicted dynamics around them, from a child who is in the care of an implacably hostile or alienating parent is a key task for practitioners working with these families. Separating out further, those children who are rejecting a parent because of reasons that are measurable or justified is also an important part of devising and delivering treatment routes. The approach to differentiating types of alienation in children was lead by Kelly and Johnson in 2001, whose work provided a reformulation of Richard Gardeners original approach to the concept of alienation. Gardner (1985) based his approach upon the idea that all parental alienation involved one parent actively and deliberately, working to undermine the relationship between a child and their other parent. Kelly and Johnson however, developed a new approach to understanding the concept of alienation, and lead the way towards a much more sophisticated way of treating the problem. Subsequent work by Fidler, Bala and Saini (2012), has produced a refined and nuanced differentiation route and the most recent work by Baker and Sauber (2013) offers a comprehensive compendium of clinical guidance which allows practitioners to both understand and work effectively with families. Gardners original view was that a child who is alienated will express eight signs which signify the difference between justifiable estrangement and alienation. He stated that those signs define a disorder which manifests itself as a campaign of hatred against a parent which has no justifiable roots. This disorder arises from the combination of deliberate programming by a parent and the child's own contribution to the vilification of a targeted parent. Nonetheless, Gardeners (1989) eight signs of alienation are still an important part of assessment and practitioners who wish to deepen their awareness must understand what these signs are. Denigration of one parent which appears as a determined campaign. Absolute lack of ambivalence in hatred of one parent and profound love of the other. A strong and powerful assertion that the decision is their own, that they are an independent thinker or that they have free will. A use of scenarios to ‘prove’ their decision is correct, using memories that could not belong to them or recalling instances which they would clearly be too young to have memory of. Weak or absurd reasons for the denigration of a parent. Cruelty towards a rejected parent with no remorse or guilt. Reflexive and constant support of the parent with whom a child is aligned. Spread of the hatred and animosity to the wider family and friends. When a child is displaying most or all of the above, they are in a position where they have begun a process of splitting all of their feelings for each of their parents into two stark and distinct positions. For one parent they feel only profound love, for the other a deep hatred and sometimes fear. These feelings are very real to children, who experience them as being based upon 'facts', which they will repeat to observers and which, when challenged, they may escalate. (Gottlieb 2012) Underneath however, the child has utilised a coping mechanism which has enabled them to withdraw from the intolerable position of having to relate to two parents who are either in conflict with each other or who are in a conflicted position created by one parent's determination to get rid of the other. In this regard, all children who are in an alienated position are extremely vulnerable both in emotional and psychological terms and are signalling that something is wrong in the family system. Children who are displaying the signs of alienation, may also be showing signs of attachment disorder, the reflexive support for a parent often being related to 'parentification' in which a child is compelled to take care of a parent. This phenomenon was also called 'spousification' by Minuchin (2004) and can create conditions in which the child is elevated to the top of the family attachment hierarchy (Kerns and Richardson 2005) by a parent and given the choice and the responsibility for taking care of the parent by rejecting the other. Practitioners who are confronted by a child who is displaying signs of alienation, especially where the child is expressing concern for the well being of the aligned parent, should be on the look out for role reversal which is denoted by parentification and spousification. Where this appears to be present, systematic assessment of the family should be undertaken. Deeper assessment of such families involves interviews with both parents, each of whom must be assessed using a multi stranded approach including questions which are designed to determine whether or not blame projection is present (Gabbard 2010). Projection of blame is a common feature of separating couples, but is one which is often alleviated over time. A parent who remains fixated upon blaming the other parent however, without being able to accept or acknowledge any responsibility for the current position, is likely to remain in a hostile and rejecting position. This attitude is likely to influence a child who may also appear to be fixed in thinking. A fused and rejecting dyadic partnership between parent and child in which the other parent is seen as dangerous, hostile or unwanted, should give rise to cause for concern. Fixed views from an aligned parent, projection of blame and an insistence that a child is making their own decisions are all signs that a child who is displaying the signs of alienation may be trapped in a conflict of loyalty to the aligned parent. Loyalty conflicts, according to Stahl (2001) , develop when children become afraid to love both of their parents because of pressure being placed upon them. Presence of loyalty conflicts should alert the practitioner to the need for deeper investigation and possible intervention. Hybrid or Mixed – in which the conflict between parents and the extreme differences in parenting and personal ways of being, cause the child to be unable to relate individually to two parents who have parted. Pure - In which a parent is deliberately and maliciously causing a child to become alienated from their other parent. Pure and conscious alienation – where a parent knows what they are doing and will not or cannot stop. Pure and unconscious – where a parent is unable to know that what they are doing is wrong because of a personality or psychiatric disorder. Treating cases of alienation is dependent upon the categorisation of the problem and how it has arisen. Defining the difference between Hybrid alienation and Pure being one of the key steps that a practitioner must take in order to properly deliver an intervention. A case of Hybrid alienation will require a very different route to that of Pure alienation and a case of Pure and conscious alienation will often require a different approach to Pure and Unconscious. Hybrid alienation cases according to Bala (2012) are those in which both parents have contributed to the rejecting position of the child. These cases can be extremely difficult to treat as each parent will often hold a fixed view of the other with the child grasped by the conflicted loyalty to one parent and rejecting the other. Hybrid cases can be made more complicated by the determination expressed by one parent that the other is deliberately causing the child's rejection. In reality, these cases are often those in which there exists a mix of behaviours from both parents that have created the intolerable position for the child. Treatment routes for hybrid alienation are a combination of therapy, therapeutic mediation and parenting co-ordination, all of which are overseen by strong judicial control. Hybrid alienation is a complex problem for children, who have to be released from their dilemma by the re-education, reorientation and willingness of their two parents to do the necessary work to heal. Hybrid alienation can be treated over a period of six to 12 months in most cases, with introduction of children to the parent that they have rejected usually within the first 12 weeks of intervention (Woodall 2012). Compulsion to reintroduce a child to a relationship with a parent is led by the Judge and carried out by Parenting Co-ordinators, who will firmly but gently override the resistance of a child in ways that are tolerable and manageable. Parenting Co-ordinators have a basic training in either social worker or therapy and are trained at the Clinic in gender aware practice, use of the multi model intervention which underpins all of the work delivered and the three stage analysis of alienation described within this article. Cases which are contested and which involve alienation which has been diagnosed by other professionals within the court process, are accepted by the Clinic for treatment. Whilst counselling, coaching and other support is available outside of the court process, only those cases which are within it are accepted for treatment routes which involve reunification work. This is because, alienation in a child is a phenomenon which has arisen between severely conflicted parents or the presence in one (or both) parents of psychological problems such as personality disorders. This presentation means that there has to be an element of compulsion in order for change to be effected. Cognitive behavioural approaches to reorganising a child's experience of the parent they are rejecting can be run concurrently alongside treatment of parents. A key feature however of this approach is to ensure that the relationship between the child and rejected parent is restarted as soon as possible, with the express support of the aligned parent. This allows the child to experience family change in real time, rather than waiting for the child to 'decide' for themselves that they are ready to see a parent. In reality, a child who has used the coping mechanism of psychological splitting which underpins the alienated position, will rarely, if ever, move to be in a position to decide to change without intervention. (Niery 2011). Pure alienation is where a parent may be conscious that they are alienating a child against the other parent or unconscious of their behaviour. Determining which of these is at play is an important part of the process of deciding which treatment route will be most useful. Pure alienation, is a situation where swift, bold and decisive action can bring about astonishing change in children, as they are liberated from the impact of the toxicity of the alienating parent's psychology. Pure and conscious alienation, where children are removed from a parent who is deliberately pressurising a child, may require restriction on that parent's ongoing contact whilst work to rehabilitate the child into a relationship with the rejected parent takes place. (Woodall 2012). Work should take place concurrently with the alienating parent to establish new parenting approaches, behaviour contracts and agreements and monitoring over the longer term to ensure that the child does not return to the previous position of being pressurised into rejection. For children who are affected by pure and conscious alienation, the goal must always, over the longer term, to be returned to a balanced relationship between two parents. How this is achieved depends upon the resources available for longer term support and the willingness of the alienating parent to participate in longer term programmes which are designed to change behaviours. Pure and unconscious alienation is perhaps as difficult to treat as a hybrid case in that the parent is unconscious of the impact of their behaviour upon the child. Unconscious alienation in this respect, where the other parent is not seen to contribute either historically or in the present to the child's fixed thinking, is often the result of a personality disorder. (Baker 2013). When a parent is consistently unable to recognise, through assessment processes, that their behaviour is causing a child to be rejecting and where the child is in a severely alienated state, refusing to countenance any relationship with a previously loved parent, a personality disorder should be investigated in the aligned parent. Establishing whether a personality disorder is present, makes it possible to determine the prognosis of intervention, which in this category of alienation will require the most robust and swift action possible, such as a transfer of residence. (Bala 2012). Work at the Family Separation Clinic is focused upon the combination of differentiation of alienation and the delivery of combined treatment routes to liberate children from the problem. Utilising a combination of family therapy and therapeutic mediation with additional elements of parenting co-ordination, hybrid cases are being treated with some success. Pure cases, where parents have personality disorders are being supported through Therapeutic Bridging Programmes, which are convened to support a change of residence and where alienation is determined to be Pure and conscious, suspended residence transfers are being supported with education, parenting co-ordination and family systems therapy approaches. All of these combinations of treatments are designed individually after depth assessment and all are convened in ways that offer the maximum benefit for the children concerned. Referrals are accepted at the Clinic from family court professionals as well as local authority social workers undertaking reports, for example, section 37 reports. Families where alienation has been diagnosed are accepted for treatment and consultancy and guidance is offered to social workers and other court professionals on how to approach cases where alienation is present. In some cases, staff at the Clinic undertake assessments and report directly to the court as Expert Witnesses. Funding such work is almost always the responsibility of the parents themselves as it is rare now that public funding is made available for such interventions, particularly because of the restriction on funding therapy. Local Authorities however will often cover the cost of intervention if a case has crossed the threshold from private to public law. One of the unusual aspects of the delivery of such support is that it is most often located 'in situ', that is that therapists, mediators and parenting co-ordinators attend at the home of the parents involved rather than parties being required to attend for meetings in offices during office hours. A further element of difference is that alienated children are reintroduced to a rejected parent as quickly as possible after an intervention begins, thus exposing the child to the feared or hated parent in a safe and supportive environment with support from practitioners who are unafraid to override the child's expressions of fear. Local Authority Vs Mother and two children through their Guardian – removal and reunification with father. This case of two severely alienated children was referred to the Clinic by the social worker undertaking a Section 37 report. The court had already recognised that the children had suffered significant emotional harm and wanted to determine what the possibilities were for support and remedy. The Clinic offered consultancy over a period of 10 months, at the outset facilitating attempts to hold contact sessions with the children and their father which ended in the police being called by one of the children who told them that she was being abducted by strange women and a man (her father). The mother presented with severely restricted understanding that her behaviour with her children was abusive (she regularly instructed them that their father had abused them) and all attempts to help her to recognise her behaviour failed. Assessment of the children showed that they were in the severe category of alienation having split all of their feelings about their father into hostile negativity with some fearful and phobic elements. Their feelings towards their mother were of absolute devotion and a belief that she was a wonderful, kind and generous mother (despite a range of behaviours which showed that she was deliberately inculcating fear and emotionally harming them). Further assessment of the mother demonstrated the strong possibility that a personality disorder was present. After a contested hearing, removal of the children was ordered and they went into foster care. At the time of their removal the children showed significant fear and phobic like reactions towards their father. The aim of removal was to ensure that their fused relationship with their mother was first terminated before therapeutic treatment could begin. The children were in foster care for a period of two days when their refusal to speak to myself and the social worker lifted and seven days before their fear of their father was reduced enough for us to begin the process of getting them ready for reunification. Reunification was undertaken with the younger child first who showed less fear and less controlling behaviour. Progression from three hours to three days in the company of father (including overnight stays) took a further two weeks. The elder child took a little longer, hanging on to loyalty to mother for a further three weeks before reunification was successful and relationships returned to normal. The children went to live with their father after twelve weeks in foster care. They went from severely rejecting, repeated and escalating allegations, fearful and phobic like reactions, to normal behaviour with their father within a three week period of removal. The ongoing task for these children is to be able to tolerate a relationship with their mother (which was stopped for the period of treatment and then resumed under supervision over a period of six months), without being forced back into the split state of mind. Therapeutic support included cognitive behavioural approaches with both children, coaching and support for father, supervised contact with mother and some behavioural instruction for mother. The Clinic supported the family for a period of 9 months. Interview of these children two years after removal from their mother demonstrates that they are still unaware of how their behaviour arose although they are able to recognise it as being distorted behaviour. Interview about allegations of abuse demonstrate that they are (and were) aware that the allegations are not real but that they felt they had to believe them as their mother was insistent and acted 'as if' they were real at all times. Both children remain fragile in terms of their ability to tolerate exposure to their mother who was diagnosed with a severe form of narcissistic personality disorder. The children's father continues to deliver their care in a consistent and healthy manner, he was separated from them for a period of five years before reunification, was accused of a range of sexual abuse allegations but maintains and supports the children's relationship with their mother on a monthly basis. The case was heard in the Principle Registry of the Family Division. Although the concept of parental alienation continues to present controversy within the UK family courts, it is clear that there is an increasing willingness within the Judiciary to accept that the issue does exist and that where the phenomenon arises in children, it is necessary to approach cases robustly and with skilled attention. Far from being impossible to treat, most of these cases are, when approached correctly, treatable. Interventions which match the problem, can offer swift resolution and for children can alleviate the awful 'choice' that they have been presented with. It is clear however, that professionals who offer these interventions, must have a combination of knowledge, skill and willingness to act in ways that are consistent and robust. When professionals are able to deliver this in the shadow of strong judicial control, the prognosis for children who are captured in this dilemma is good. Bernet W. (2013). Parental Alienation. 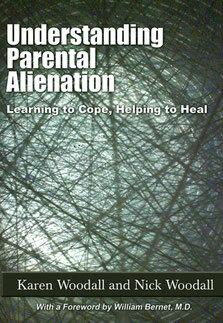 Available: http://parentalalienationcanada.blogspot.co.uk/2013/05/dsm-5-and-parental-alienation.html. Last accessed 16.1.2014. Gardner, R.A. (1985). Recent trends in divorce and custody litigation. Academy Forum, 29 (2), 3-7. Kelly and Johnstone. (July 2001). The Alienated Child: A reformulation of Parental Alienation Syndrome. Family Court Review. 39 (3), 249. Minuchin, S. & Fishman, H. C. (2004). Family Therapy Techniques. Harvard University Press: Cambridge. Sauber R and Worenklein A(2013). Working with alienated children and their families. London and New York: Routledge. Page 49. Stahl, M Philip, Retrieved from article by - remarks made at the plenary session of CRC's conference in May, 2001. Wallerstein J and Kelly J B (1980). Surviving the break-up: How children and parents cope with divorce. New York. Basic Books. 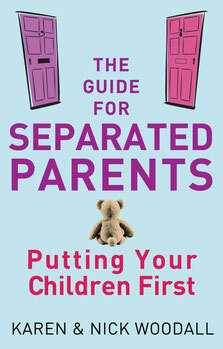 "...quite simply, the best book on separation that we have ever read."